For the church fathers, the life of the monk and the life of the pious Christian living in the world are not supposed to be so radically different. 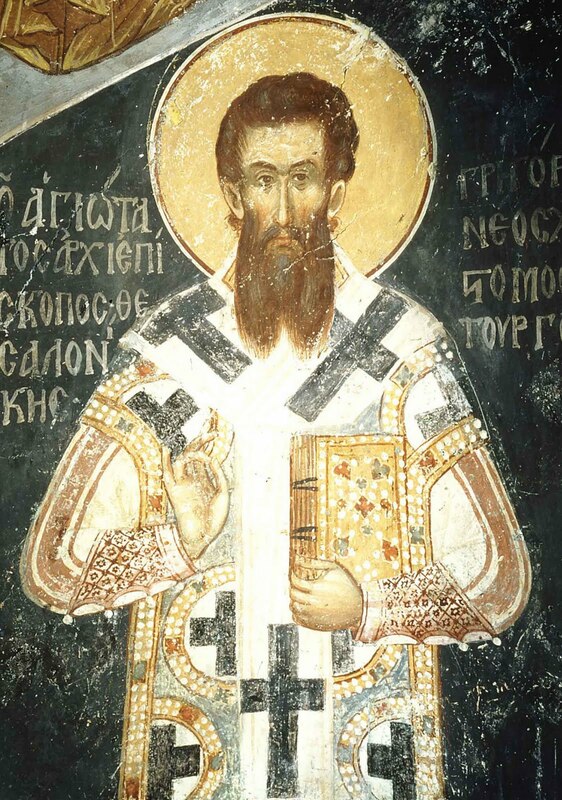 Saint Gregory Palamas not only taught that praying without ceasing was a commandment for all Christians, monks and laity alike, but he also taught that the very vows of the monastic life were to be incorporated into the life of believers. Thus, while monks were to live in poverty, the laity were to cast out the desire for wealth; while monks were to be obedient, those in the world were to avoid worldly glory and fame; and while monks were to live in virginity, those in the world were to flee from the love of pleasure (Homily on Palm Sunday, PG 151.80bc). With such goals in mind, the faithful can partake of the blessedness of a deeply Christian life. The Saint did not refer to the fourth vow, remaining in one’s monastery until one’s last breath, and yet certainly that vow also has its value in the life of the faithful at large. In the Gerontikon, we read that “just as it is impossible for a tree that is continuously transplanted to bear fruit, so a monk that moves from place to place cannot become virtuous” (SC 387.743) and elsewhere that “just as a hen that fails to sit on her eggs will produce no young, so the monk or virgin that moves from place to place will grow cold in the faith” (PG 65.424). Moving about makes it difficult to move within. It hinders growth in virtue and the preservation of fiery zeal. For a monk, professing the vow of stability—the promise to remain in one particular place and in one particular monastery for the duration of life—means that the monk is willing to be patient, a virtue so necessary for spiritual growth that our Lord said, “In your patience, possess ye your souls” (Luke 21:19). While people living in the world don’t take a vow of stability, they are called upon to be patient and to be faithful in the situation in which they find themselves. Saint Paul gave this instruction when he wrote to the Corinthians, “Art thou bound unto a wife? Seek not to be loosed. Art thou loosed from a wife? Seek not a wife” (1 Corinthians 7:27). Once the commitment to stability is present, one can turn one’s attention to the soul and working out one’s salvation in one’s unique context. While there are exceptions to the rule, the ancient fathers certainly frown on frivolously remarrying, parish hopping, and spiritual father trading, because such actions locate the problem outside of the soul, rather than within it. Such actions often reflect our temptation to run from temptations, instead of running towards Christ. And so we lose the opportunity to grow in the everyday struggle before us. If we wait for our wives or husbands to be perfect, the church to be just right, and the spiritual father to be a saint, we may wait our entire lives and never make the first step on the journey towards living according to the Gospel. We are to “grow where we are planted.” The fact that we don’t have that “perfect job” or that “understanding spouse,” or that “ascetic priest” doesn’t mean we are excused from struggling for perfection, from understanding others, or from engaging in ascetic labor. In fact, just the opposite is true. The saints achieved union with God because they struggled and didn’t count the cost in the most difficult of circumstances. We can all make excuses why we didn’t make the journey. However, in the end, it is friends of God who refused to accept excuses and moved forward, accepting their particular life circumstances as opportunities from God to struggle toward their own salvation. All the monastic vows and their lay counterparts are not so much sacrifices on our part, as they are gifts that allow us to blossom and grow in the midst of temptations “unto the measure of the stature of the fullness of Christ” (Ephesians 4:13). May we all become like unto trees that bear fruit and hens whose eggs hatch to the joy of the Divine Husbandman of the human soul.